There are two types of people in this world; those who are capable of growing a moustache and those who aren't. 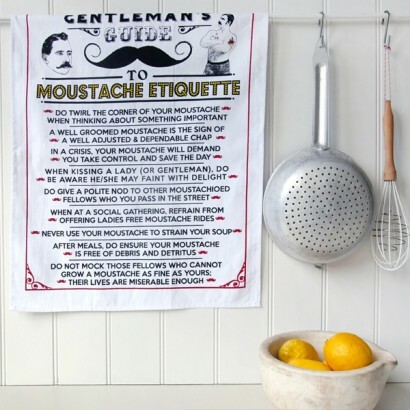 As anyone with a moustache knows, there is a certain amount of etiquette required in keeping it. 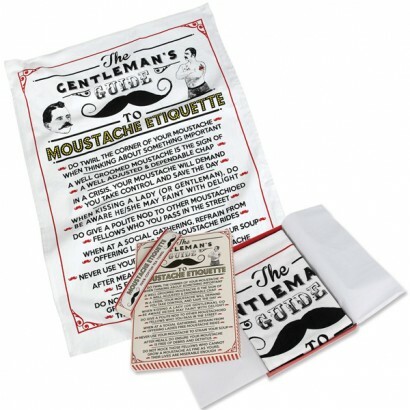 Spread the word and create a more gentlemanly world, with a 100% cotton tea towel emblazoned with the do's and don't of moustache etiquette. 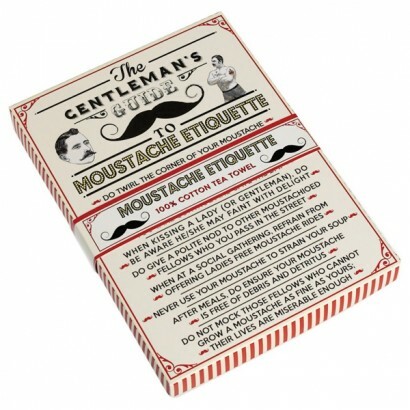 The perfect gift for proud moustache owners and the otherwise moustache obsessed. Legal disclosure: Gifting of tea towel does not guarantee pot washing or drying.